Here in Crystal Cove State Park, we are lucky enough to have front row seats to the longest mammal migration on the planet. 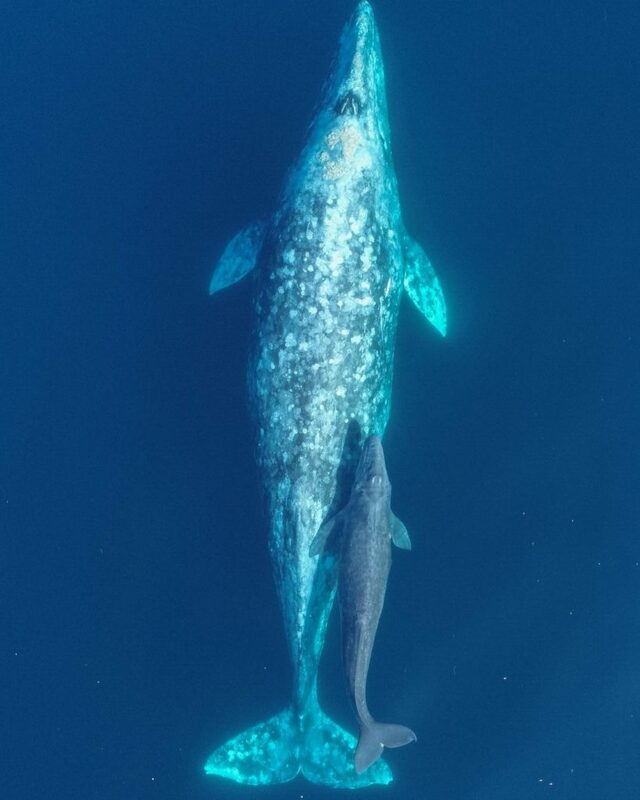 Gray whales travel up to 12,000 miles round trip every year between the Bering and Chukchi Seas in Alaska down to lagoons on Mexico’s Baja Peninsula. They stick close to shore for most of their migration route, providing ample opportunities to spot them from shore as they pass by. Gray whales spend the entire summer feasting in the nutrient rich waters of far-north Alaska. As the temperatures drop in October, and waters begin to freeze over, the whales begin their journey south. Once they arrive in the warm protected lagoons of Baja, the whales will give birth and spend the winter nursing their young to build up strength and blubber for the 5,000-6,000-mile trip to Alaska. Southbound gray whales are usually spotted in Southern California from December to February. Around mid-February, whales can be seen going in either direction. Some whales have begun their migration back to Alaska, while some are still on their way to Mexico. If you see a heart-shaped blow on the water this month, keep an eye on which direction they’re heading. You may even see a northbound whale and a southbound whale in the same day. Gray whales navigate along their migration route using the coastline to guide them, so they stay relatively close to shore throughout the migrating season from December to April. On the northbound migration, the mothers with newborn calves stick especially close to shore for protection, offering spectacular whale watching from any of the beaches and bluffs of Crystal Cove. Those wanting a closer look can visit our partners at Newport Whales, located in Newport Harbor, and get out on the water. To book a whale watch trip with Newport Whales, visit NewportWhales.com.